It has been two weeks since we opened the doors on IMBC 2018 and we just wanted to reach out to you to say a HUGE thank you for coming along and helping to make it one of the best yet. Seeing your pictures across social media and your faces whilst you enjoy and talk about incredible beers from across the globe make all the hard-work worth it. 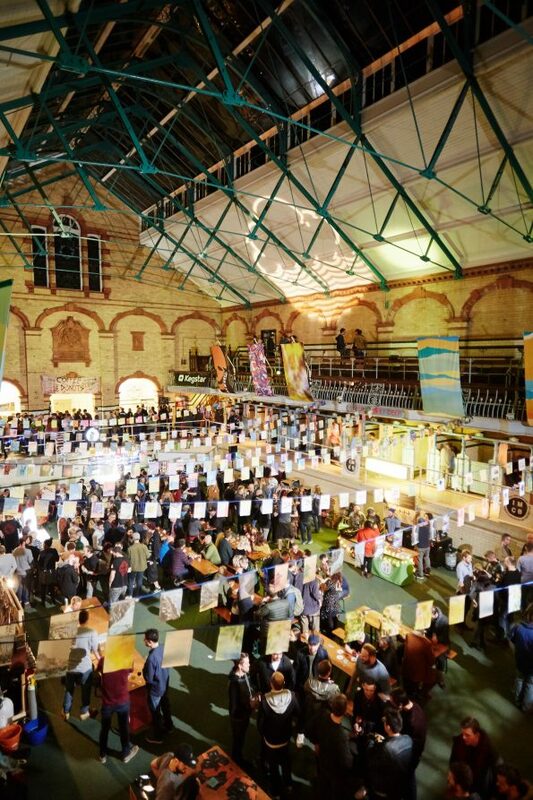 Beer, as ever, was the real hero but we would also like to extend big thanks to the brewers thereof, our wonderful volunteers, Victoria Baths and the wonderful team there, IMBC food vendors, festival supporters and sponsors, everyone who helped out in the production, and again – YOU! We’d just be an empty Swimming Baths full of loads of beer without you. It’d be weird. The dates for IMBC 2019 are set; Thursday 3rd October – Sunday 6th October 2019. The venue remains the same; Victoria Baths, our one true love. More details about our ticket on sale date will follow in May 2019 so keep an eye on our social mediums and sign up to our newsletter for further information. We would like to individually thank our IMBC 18 sponsors for helping to make this year such a good festival. The room sponsors did a great job of making Victoria Baths their own – Burning Sky, Buxton, Cloudwater, Lervig, Beer Merchants, Stone Brewing, Verdant, Wild Beer and Wylam. We hope you’ll agree that their spaces were a joy to visit. We’d also like to thank our IMBC 18 supporters. This year’s glass was perhaps one of our finest vessels yet and was brought to you with the help of Magic Rock and Beer Merchants. Simply Hops took care of the brewers at IMBC 18 as brewery supporter, official keg supporters Kegstar performed stainless steel keg heroics as usual, and The Brewer’s Eye spread the good word of their forthcoming app aimed at beer lovers and brewers alike – follow The Brewer’s Eye for updates on when you can get your hands on the app. “Wow, that was epic! 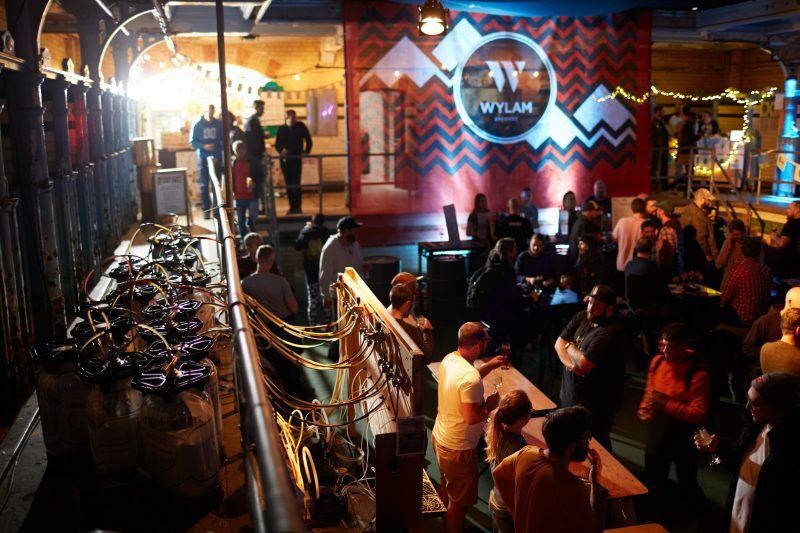 iZettle are extremely proud to have been involved with Indyman 2018. It was fantastic to meet so many thriving independent businesses and witness the support that you guys have for them. Whats next for iZettle in Manchester? November 2018 will see iZettle bring “Social Media For The Independents” to your City. A free event to swot up on social, meet influencers and have a drink on us! The event has limited spaces, be sure to register for your tickets HERE. Perhaps the unsung hero at IMBC’18 was the return of the IMBC pencil – a big thank you to Simpson’s Malt for making that one possible! Lallemand once again backed The Thirsty Games for the third year since its very inception – supporting the best small UK breweries. Awesome Merch made our swag dreams come true by printing all of this year’s IMBC 18 merchandise – please do use them for all your print (and beyond) needs! 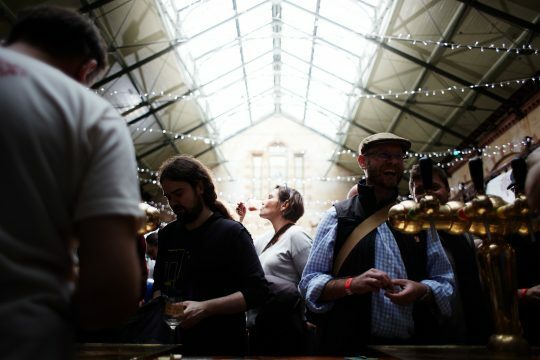 Festival supporters Beer Adventures keep things rocking with their interactive city beer guide app – have a look to see how you can get involved with their progress HERE. Last but not least, KeyKeg were a great help as Keg Management Supporter with the recycling of their kegs that you guys helped empty! Phew, thirsty for next year now. Until 2019 stay safe, keep experimenting by trying plenty of different and new beers and keep supporting the independent. We’d love to hear any feedback about this year’s event. Please do drop us a line with any thoughts – you can email us HERE.